This year’s Newcastle Truck Show will be held at Maitland Showground on Sunday 28 October 2018 and promises to be the biggest and best yet. There is a huge line-up planned across the day with plenty of truck displays and live music offerings from Newcastle’s Kristy James and others! 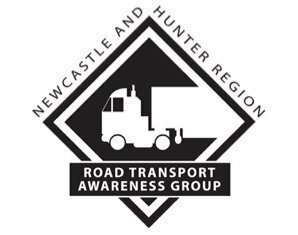 Proceeds raised from the 2018 Newcastle Hunter Transport Awareness Day and Truck Show go towards our beneficiaries the Westpac Rescue Helicopter Service and Ronald McDonald House Newcastle. For the little kids, and possibly the big ones too, they can come along and meet everyone’s favourite night time super heroes PJ MASKS , plus get up close and personal with the Supercars Transporter while also enjoying a host of rides and entertainment. Don’t forget the main attraction of over 150 big rigs and prime movers on show. This is a fun, family orientated day and this year the group has a jammed pack event for the community so make sure you purchase your tickets today. Proceeds raised from the 2018 Newcastle Hunter Transport Awareness Day and Truck Show go towards our beneficiary the Westpac Rescue Helicopter. To date the show has donated more than $1million dollars to the local community.